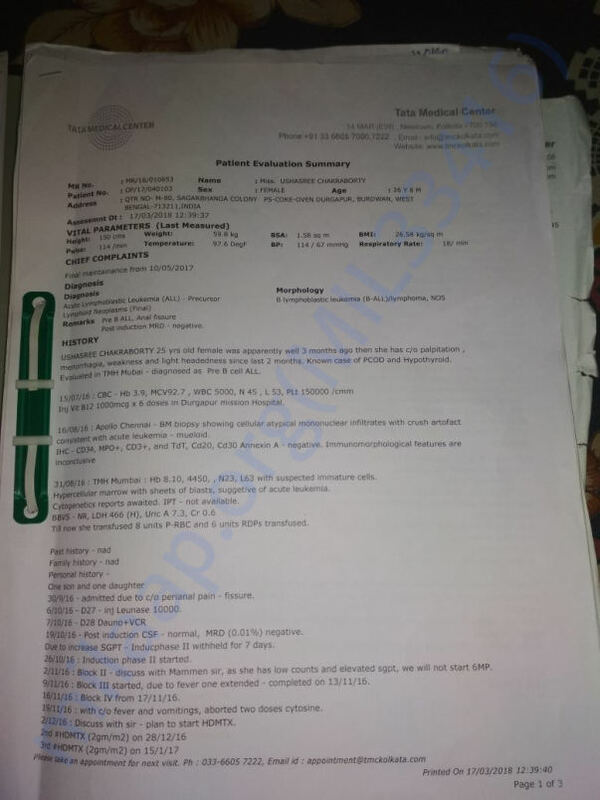 This report concerns the battle against time of a 27 year old girl, Ushasree, suffering from lymphoblastic leukemia, the medical term for dreaded blood cancer. 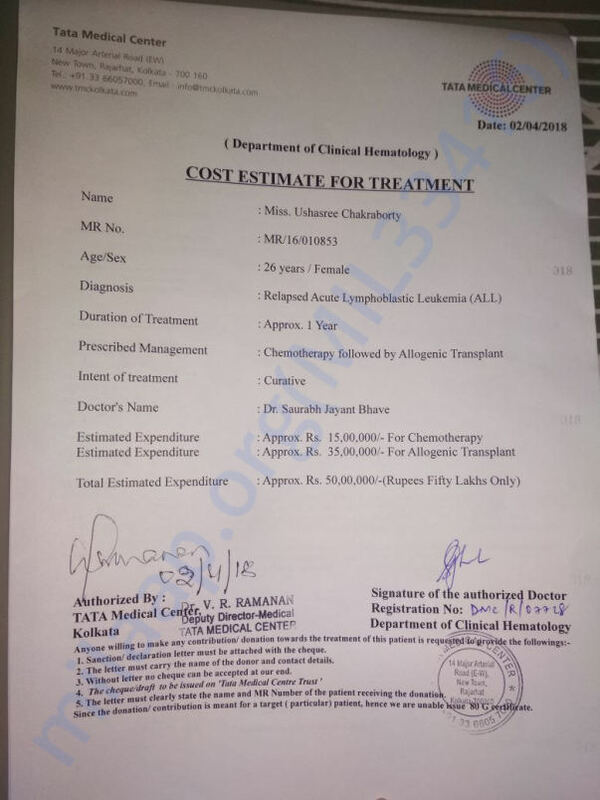 She is currently losing her battle due to lack of funds for treatment which amounts to around 50 lakhs. Ushasree was born on the 10th of July, 1991 in the town of Durgapore to Ramnath and Rita Chakraborty. From her childhood she was a brave-heart brimming with life and hope. She proved to be a brilliant student by scoring 89% in her 10th and 95% in her 12th standard examination. She completed her Bachelor’s degree in Physics from Lady Brabourne College, University of Calcutta with a hooping score of 73%. She then joined the coveted Department of Radio physics and Electronics in Calcutta University for her B.Tech degree where she performed extraordinarily again. Ramnath Chakraborty is a former inspector of quality control at ALSTOM and Rita Chakraborty is currently working at Paschinbanga Gramin Bank. 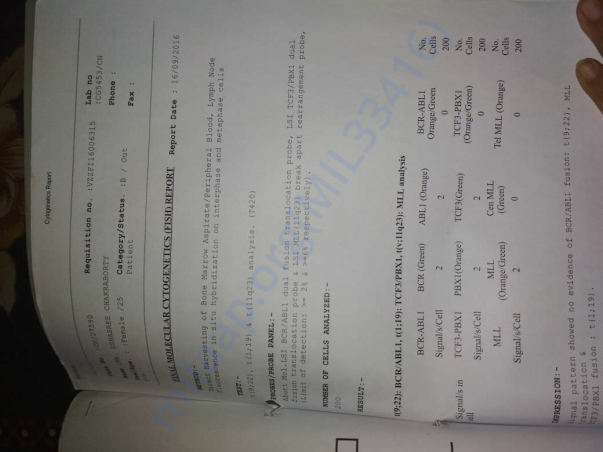 Her brother is currently studying at Jalpaiguri Engineering College. At the end of her B.Tech years, Usa secured a job at Tech Mahindra. However all her hopes were crushed when she was diagnosed with Blood Cancer in September 2016. The medical reports from Tata Memorial Hospital confirmed her critical condition and she could not start her prospective career in the company. 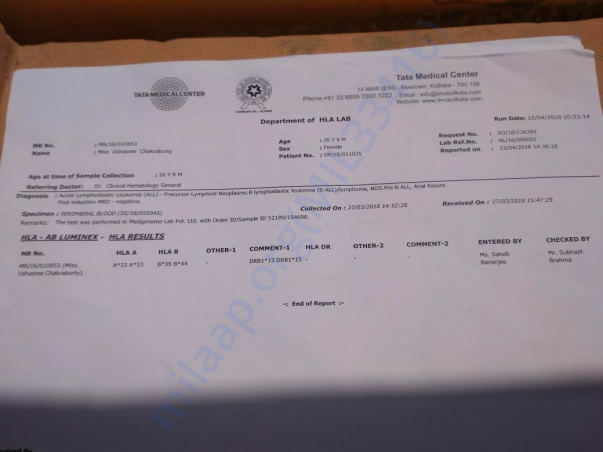 Ushasree’s treatment started at the expense of huge amounts of money. Situations became complicated as her father had retired on that very year without pension. As a result most of the retirement benefits were spent on her treatments. However, the treatments proved to be effective and health got better. In February 2018, Ushasree again started rebuilding her career. She joined the Department of Robotics and Automation, CSIR-CMERI (Durgapore) as a Junior Research Fellow in a Defense Research and Development Organization Govt. of India (DRDO), sponsored project. She began a new life full of hope and happiness. But due to another twist of fate, she is now faced with a bigger hurdle which she might fail to overcome this time. 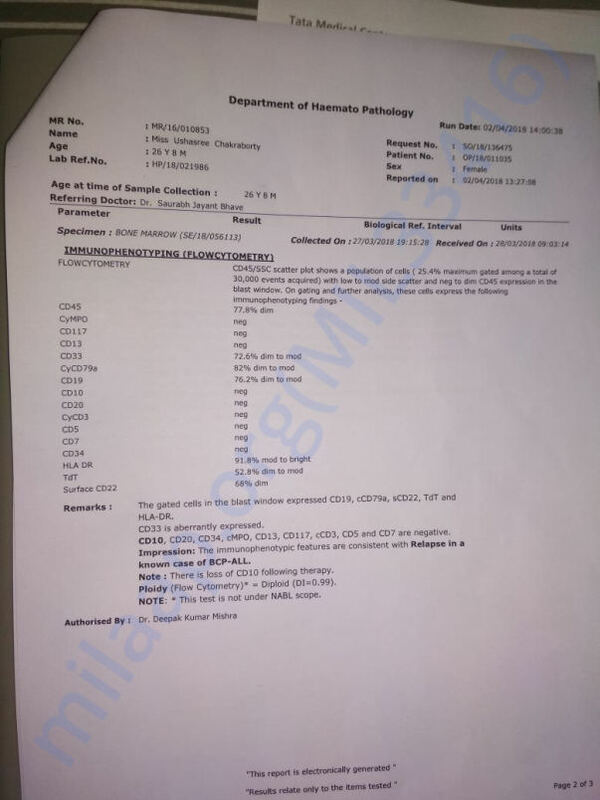 She was once again detected with blood cancer in March 2018. 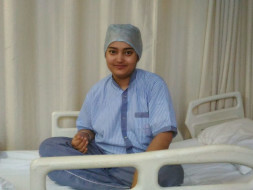 Currently, Ushasree is very critical and the doctors have suggested immediate bone marrow transplantation. The total cost of the operation is estimated to be around 50 Lakhs. If the operation is not performed immediately she will have less than 6 months to live. Owing to the previous treatment expenses, her family’s economic resources have been completely drained. In other words, it’s the end of the road. Or is it really the end? In this age of medical advancement, can’t we all put our efforts together to help this fighter win against blood cancer? 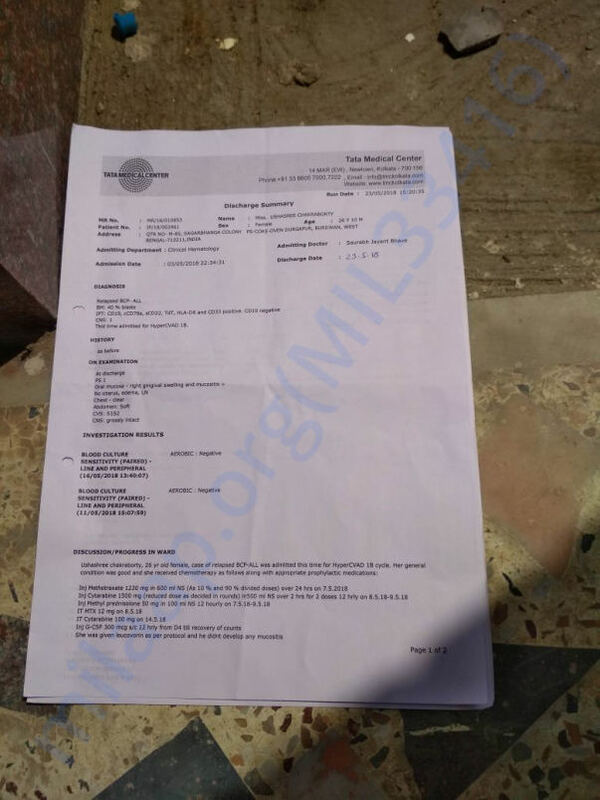 Ushasree has decided to stop taking all medical aids due to the huge expenses involved. Treatment is available, the patient is a fighter, but price of the treatment is about to end a priceless life. We shall be forever indebted if this platform can be used to appeal to the mass for their help in raising this humongous amount. Anybody who is kind enough to help her in her fight may contact. The above photo was taken after she had recovered the first time. Please help her in her fight this time. With a heavy heart and no words to express, we are sharing the last update here. Ushasree is no more. Her condition was deteriorating for last few weeks and finally our fight stopped. Thank you all for all your support, prayers and blessings...it meant a lot to her family and friends. May she be happy wherever she is. Medications are going on for Ushashree before the BMT. 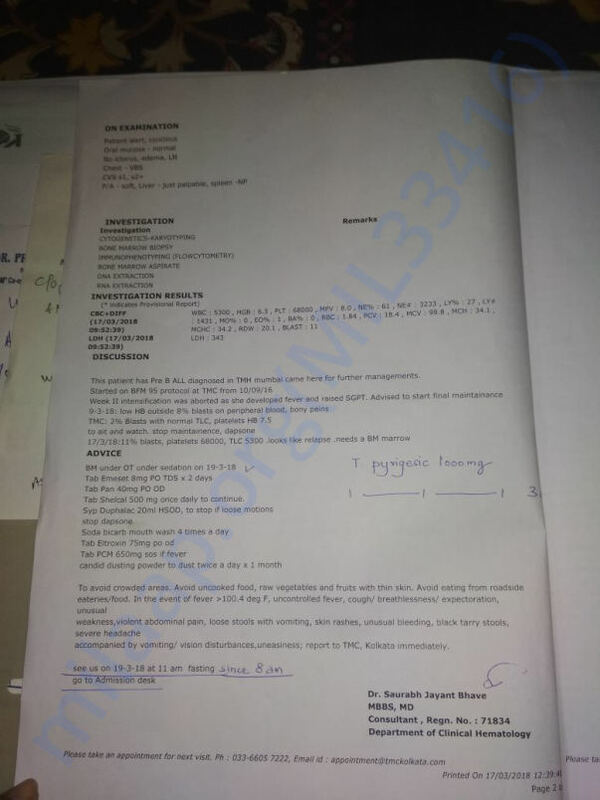 Chemos did not show any prospect, so doctor has suggested a medicine to be imported from UK. BMT will start once some positive indication is received. 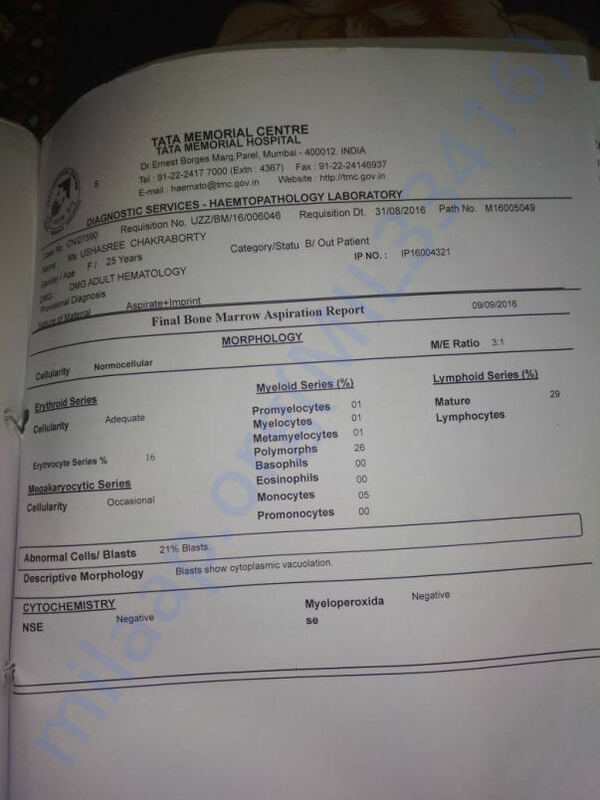 Also, HLA tests for Ushasree's father, mother and a probable donor has been done. Ushashree is currently having some complications. 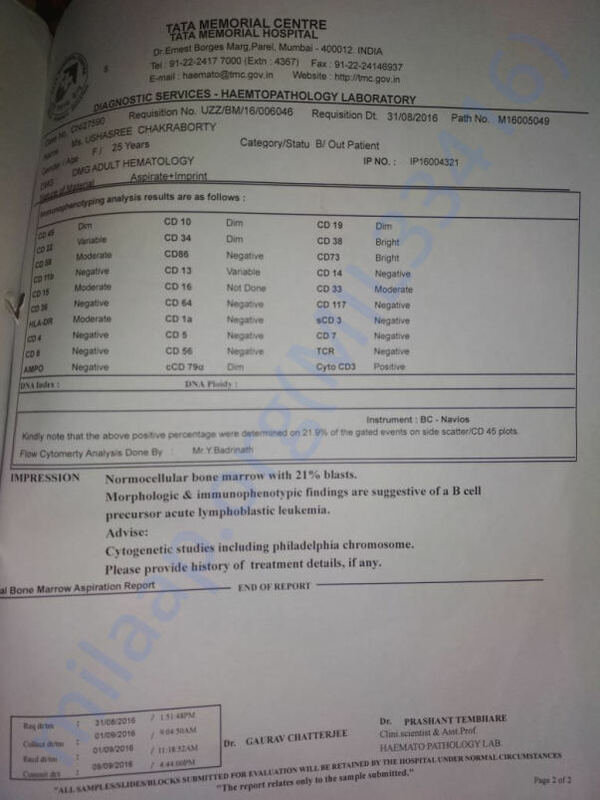 She is not responding to chemotherapy. Hence, the doctors have stopped chemotherapy for now to understand why she is unable to respond to the treatment. She is now on medication to help her with the same. She is at home now. Her chemotherapy will resume once she gets better. We shall keep you posted. Thank you for your support. Matching Contribution towards funds raised from friends and family. Funds raised from friends and family. Matching Payment towards funds collected from friends and family.